FULLY SERVICED HOUSE AVAILABLE FOR SHORT LET. A stylish two double bedroom, with private parking a short walk from Leatherhead main line station and town centre and business park. Fully furnished to a high standard and available immediately. FANTASTIC LOCATION situated close to Sloane Square station. Furnished and available immediately. **THE PERFECT LOCATION** This well presented apartment is situated close to both Sloane Square & South Kensington station. ***FREE TENANT REFERENCING!!! *** Four bedroom detached house with two bathrooms, in The Lanes area. Unfurnished and available 6th May 2019. SHORT LET ONLY. A high quality spacious one bedroom flat which is one of the largest in the complex. Fully equipped modern kitchen, twin bedrooms and the flat is cleaned with linen and towels changed as of part of the service. £450 PER WEEK. SHORT LET ONLY. A high quality spacious one bedroom flat which is one of the largest in the complex. Fully equipped modern kitchen, twin bedrooms and the flat is cleaned with linen and towels changed as of part of the service. Call for availability. £420 PER WEEK. SHORT LET! A rare opportunity to rent a large, one bedroom apartment in the popular Capitol Square development!! Furnished. Recently refurbished to a high standard. Three double bedroom detached bungalow with garage and lovely deep secluded plot. Unfurnished and available 30th May 2019. **NO DEPOSIT OPTION** -- **PERFECTLY PROPORTIONED** This perfectly proportioned two double bedroom semi-detached house with two reception rooms, two off-street parking spaces and the most beautiful garden, is not one to be missed! Available 27th May 2019 on a part-furnished basis. *** FREE TENANT REFERENCING!! *** A modern two double bedroom, third floor (with lift) apartment situated in the heart of Epsom. 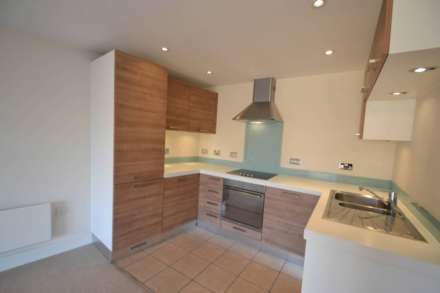 Two double bedrooms, Two bathrooms and 1 allocated parking space. Water Included! Unfurnished and available 22nd June 2019.